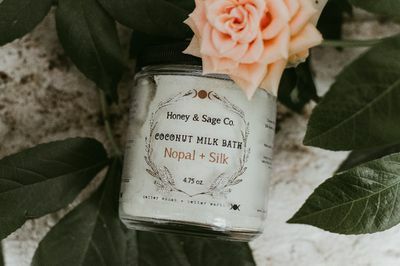 Enter your email address below to receive a notification when Honey & Sage Company starts accepting new sign-ups! 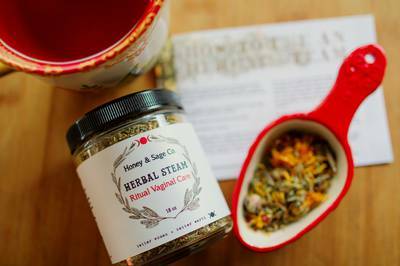 Enter your email address below to receive a notification when Honey & Sage Company is accepting new sign-ups again. 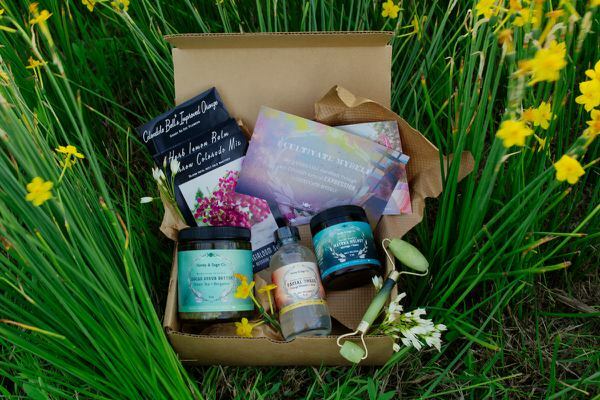 Use code CRATEJOY at checkout to get a 10% discount off your first cycle. 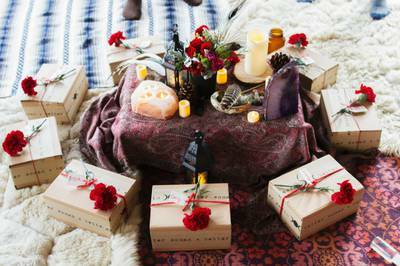 Your box will ship on the 13th of every month. 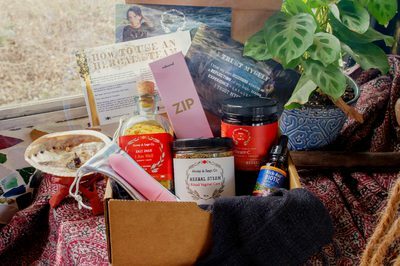 Please order by the 24th of the previous month to get the current box. 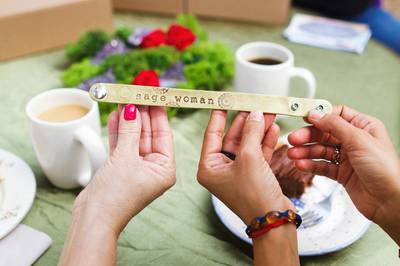 Our mission is Better Woman + Better Earth. 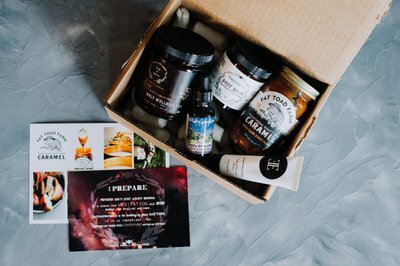 The Sage Woman Care Package (and smaller option-- Holy Wellness Care Package) is a monthly wellness subscription care package with natural and organic seasonal goods for body, spirit and daily practice. 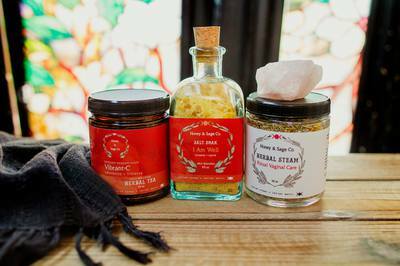 Herbal goodness, women-makers + ritual for self care, It's a monthly reminder to refill your cup. 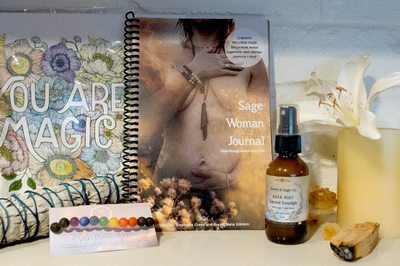 FREE Sage Woman Journal with each 3-month Sage Woman or 6-month Holy Wellness Care Package subscription. We send seasonal care packages for daily self care. Self care is the foundation to balance, transformation + healing. There was only one thing I did not like in this basket and that was the Drybrush the bristles came off everywhere the rest of the basket was awesome. I really like the description card you get with each box . 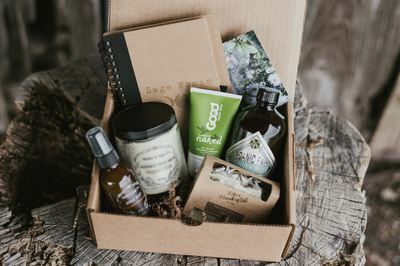 This box is wonderful. 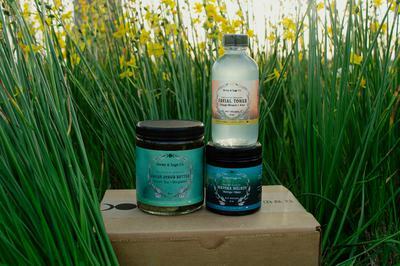 The products help me connect to the goddess energy that supports me on my journey of self love and healing. 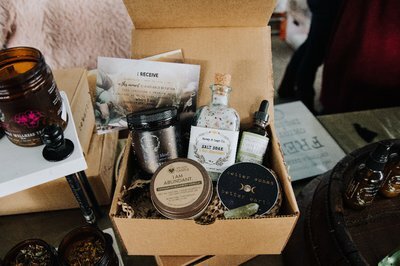 I especially love the products that come in the box that are created by the Honey and Sage Co. which I believe is owned by two women friends. 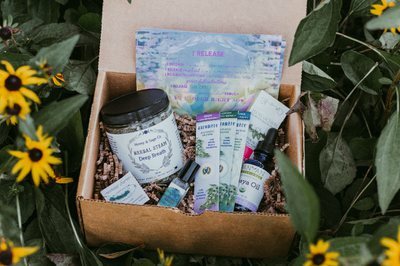 I was originally giving myself this as a three month gift to myself but I have decided to continue the subscription because of the wonderful quality and how much it supports me in staying in a higher vibration of loving energy. I was disappointed when I got this box.